Use your estate plan to leave important instructions about your property, children, and health care. The heart of estate planning is figuring out what will happen to your property when you die. But in addition to determining where your property should go, estate planning can also include decisions about your young children and their property, your taxes, avoiding probate, your health care during life, and what happens to your body after death. Here are some details about each of these areas of estate planning. As you read this article, use the links to learn more about these estate planning issues. Your property. Most people use their estate plan to determine who will get their property when they die. 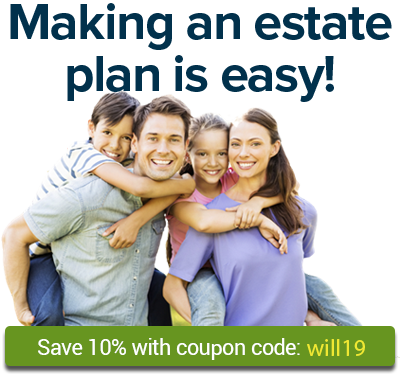 Wills are the most popular estate planning tool for this because they tend to be more simple, less expensive, and more well known that other estate planning tools. You can also use a living trust to name beneficiaries for your property. The main benefit to using a living trust is that the property that passes through living trusts does not have to go through probate. However, most living trusts are more complicated and more expensive than most wills. Another increasingly popular way to pass property to beneficiaries without probate is to use transfer-on-death accounts, deeds, registrations, or deeds. If you don’t use your estate plan to determine what will happen to your property, it will be distributed through your state’s intestate succession laws. Your taxes. For many years, average families used their estate plans to avoid or reduce estate and inheritance taxes – the taxes due on your estate when you die. However, federal estate tax is now levied on only very wealthy estates – estates worth well over $5 million. So most people with average-size estates do not need to worry about estate taxes. That said, a few states do levy estate and inheritance taxes on smaller estates and if you live in one of those states and you have a substantial amount of property, you may want to use your estate plan to try to reduce or avoid these taxes. Your young children. You can use your estate plan to name a guardian to care for your young children if both you and your children’s other parent aren’t available. You can also name a property manager or custodian to look after your children’s property. Avoiding probate. Probate is the court’s process of distributing your property after you die. For most estates, probate is unnecessarily expensive and time consuming, so many people use their estate plan to avoid probate. Your health care arrangements. You can also use your estate plan to make decisions about the health care you receive before you die. In a power of attorney for health care, you can name a person to make health care decisions on your behalf when you are no longer able to make them yourself. And you can use a living will to set out in detail what kind of health care you would like to receive – for example if you would like to receive all possible treatments under any condition, or if under certain conditions you would like to receive only limited treatments. These two documents are sometimes referred to together as a health care directive. Many states also authorize POLST forms, which allow you to set out your wishes for health care in an emergency. Your final arrangemetns. You may also want to include directions for your final arrangements in your estate plan. These directions can include instructions about what should happen to your body after you die (burial, cremation, donation) and what types of ceremony or memorial you would like to have. In most states, you can appoint someone to make these decisions for you after you die and you can also leave detailed notes about exactly what your wishes are. To get more free legal information about all of these estate planning topics – and more -- go to the Wills, Trusts & Probate section of Nolo.com. To read a bestselling book that details these issues, try Plan Your Estate by Denis Clifford (Nolo). Many people can make all or nearly all aspects of their estate plan without lawyer. Quicken WillMaker Plus can help. It provides expert-made and time-tested forms and guidance to help you to make a will, health care directive, final arrangements document, and much more. And if at some point you want to touch base with a lawyer, Nolo’s Lawyer Directory can help you find one in your area.